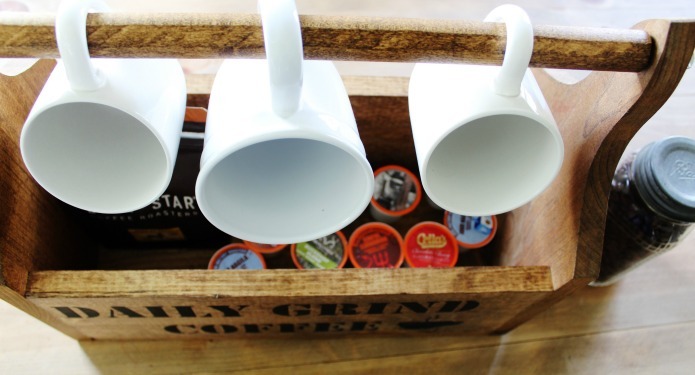 Create a Rustic Coffee Shop Wooden Storage Tote With a Removable Bar for Countertop Organization on a Budget! Shirley Temple has invaded my brain and I’ve been singing “the sun will come out tomorrow” for the last several days. Our weather has been such a yo-yo lately, which makes it really tough to take photos. One minute it’s pouring down rain, then the sun comes out and I madly start shooting photos while it lasts. So during one of the lulls between showers, I was finally able to get photos of the coffee tote I designed by special request for a customer. 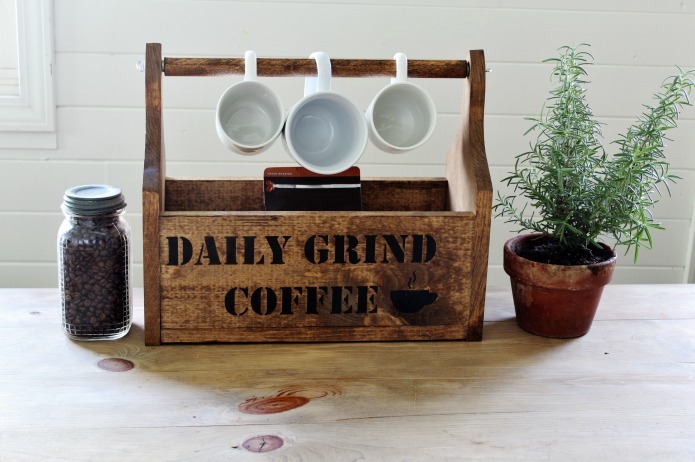 She’s using it as a paper towel holder tote, but it makes a cute coffee station as well. It’s roomy enough inside to hold lots of coffee pods or a few bags of coffee, and mugs can hang on the removable handle. 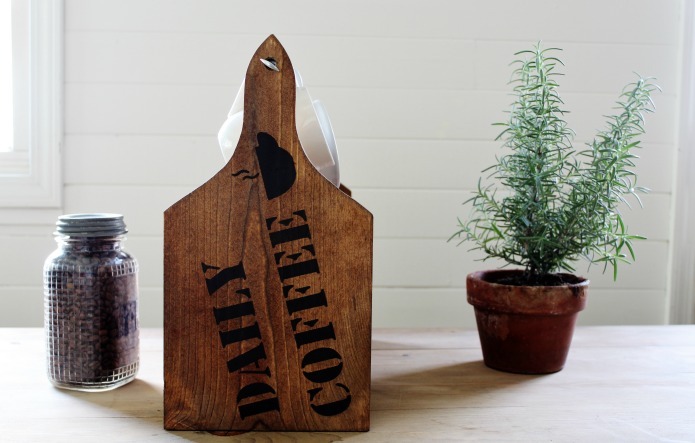 She messaged me that she loves her rustic coffee shop wooden storage tote and that it’s exactly what she hoped for. I don’t always like to take custom requests, but hearing she’s happy with it made me glad I did it. The sides are stenciled with the Daily Grind stencil also. 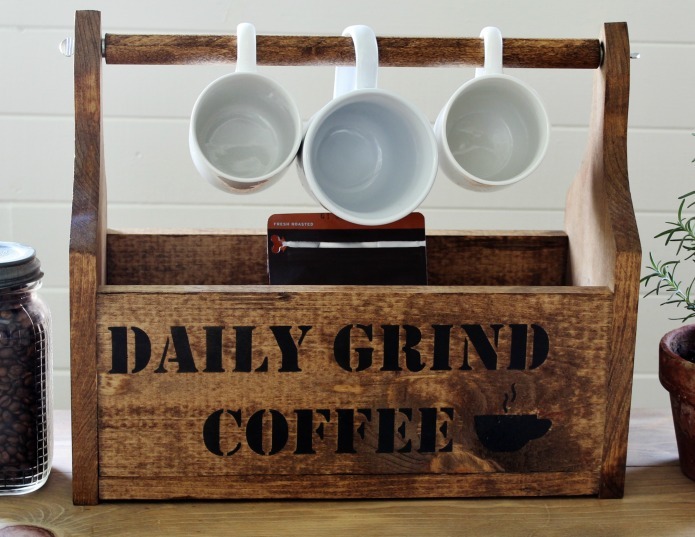 The same stencil was used to make this Reclaimed Wood Coffee Station Mug Rack that I shared a few weeks ago. 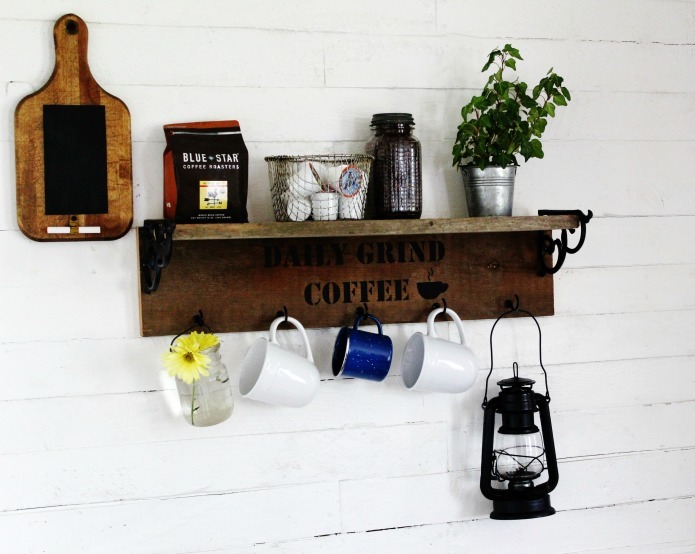 This mug rack is available in my shop HERE. I also used the stencil on one of the new burlap table runners I recently made. More coffee totes are available in my online shop HERE. 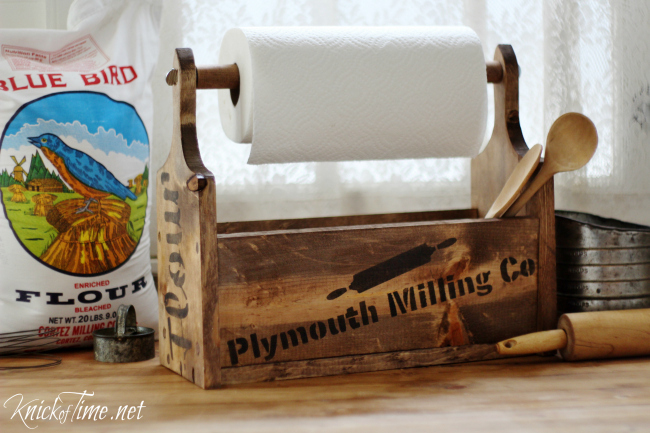 The tutorial to make your own farmhouse style tote like the one below is HERE. I guess I’ll stay indoors and work on some new projects I have planned. I hope the sun is shining where you are and you have a great weekend! I love your ideas and can hardly wait to see what you come up with next! What an awesome idea!!! Love it!! 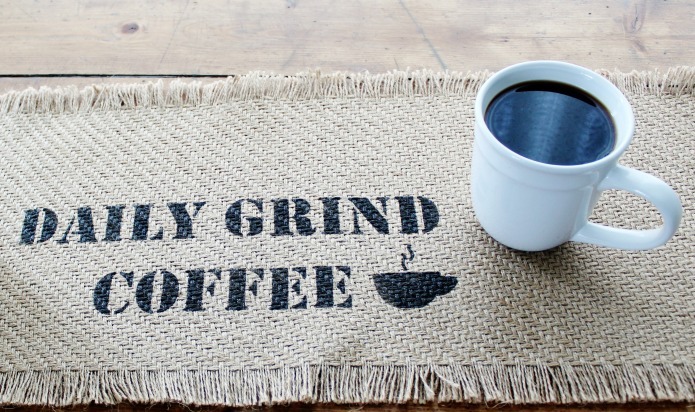 I adore your daily grind Rustic Coffee Shop Storage Tote for mugs, etc. Boy, you MUST BE SO BUSY keeping your blog readers interested and Etsy customers happy!!!! It makes me glad I finally retired after 25 years as an elementary school teacher. (I taught every subject and grade but 1st and 8th!) That way, besides taking care of my 92 y.o. aunt for two years, who passed away last November, I can fit in some time to create some of your ideas!! Thanks for super farmhouse projects & stencils!! Mare, you earned every minute of your retirement, and I hope you create lots of things you love!